Thank you for your component. I am using the latest breezing forms (free) build 931 on a multilingual site, where the default language is English and the second language German. I have translated the fields on the form into German, in the back end, and everything appears normally in the front end. However, the back end is a different matter. 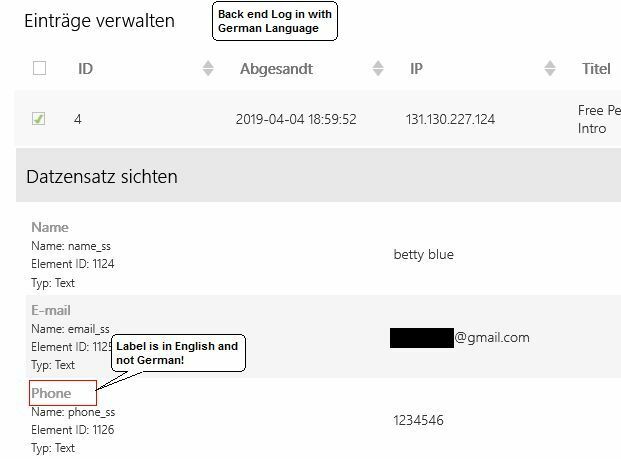 I have logged in to the back end with the German language and there is no language change in the display of the labels for the record of the form that was submitted in German. Only the user input is in German and not the translated labels, which remain in English! This makes the translated labels somewhat superficial, in that they only serve as a display in the front end, in German, but have a recorded display/value in English (or the default language) in the back end. This mixture of English labels and German content (or the default and non-default languages) also appears on downloadable documents such as a PDF, CSV or XML file and any e-mail notification sent when a form is submitted. 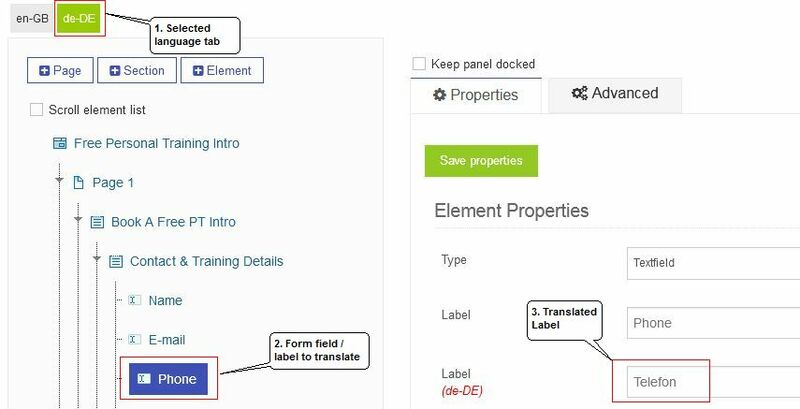 Does this mean that that labels and documents, resulting from a translated form, can only display the labels in the default language and not the translated labels? It is not at all practical having to look at the results of a completed form (PDF, CSV or XML file or an e-mail notification) in two languages. Was this intentional when designing your multilingual system or is this something that was overlooked? Is there or will there be a solution for this issue? I look forward to your reply. One week has passed since I posted the above issue, which I'm sure affects anyone who uses the Breezing Forms in-built multilingual system. Could you please respond to the post at your earliest opportunity and provide some clarification or suggestions.